Happy Valentine's Day! I woke up to tulips, a funny card and a handmade poster plastered with photos of the three of us. Oliver was in every photo, as expected. Haha! You can see it all on our Instagram (User ID: MichelleMarch). It was the cutest thing and totally made me cry. I loved it all so much! Inspired by this special day, I thought it would be fun to do my own take on romantic and vivid wedding ideas that gush intense passion in a colorful setting. I teamed up with Danielle, from Flutter Fete, because I knew she would capture my vision effortlessly. She truly did. The Boca Resort was the perfect canvas. 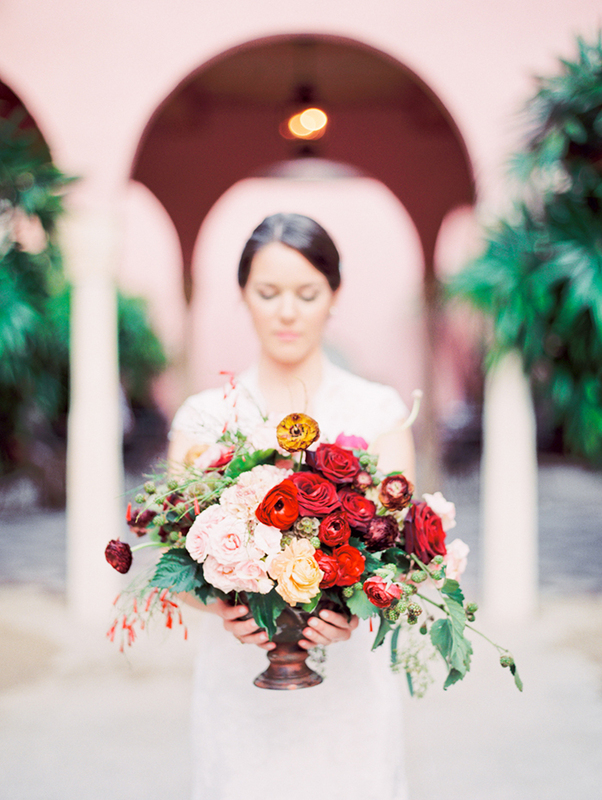 With it's Mediterranean flair, lush landscape and pink walls, it was calling my name. It's Old World charm and European feel made it irresistible. The rest of the team was absolutely amazing. Everyone came together and the cohesiveness really shows. Lace, velvet, reds, golds. 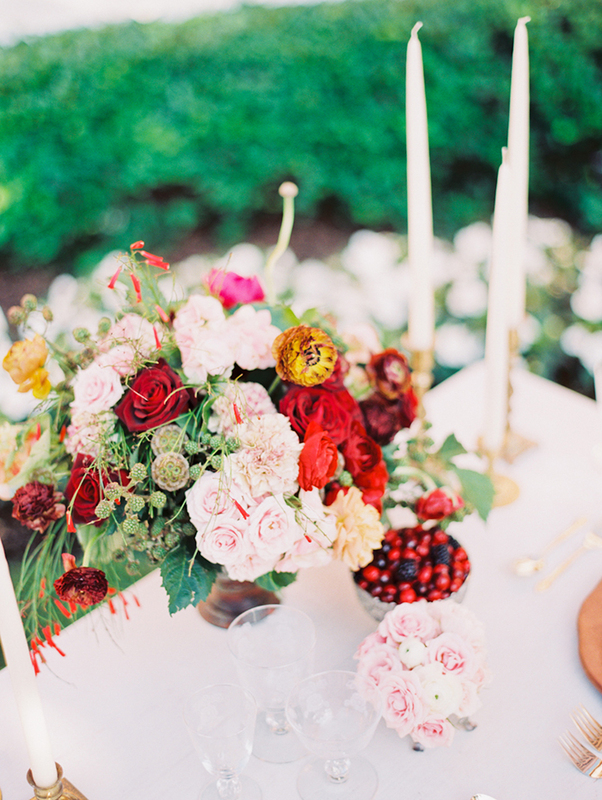 From the dramatic and vibrant florals (by Veronica from Anthology Co.), the whimsical and full of live paper goods (by Shannon Kirsten) and stunning rentals (from Love in Vintage) -- the attention to detail was wonderful. Flutter Fete searched for the perfect little bits to complete the look. She found the vintage velvet bow tie on eBay and the vintage velvet ring box on Etsy. Both from vintage dealers. I think these inspirations are great year-round. 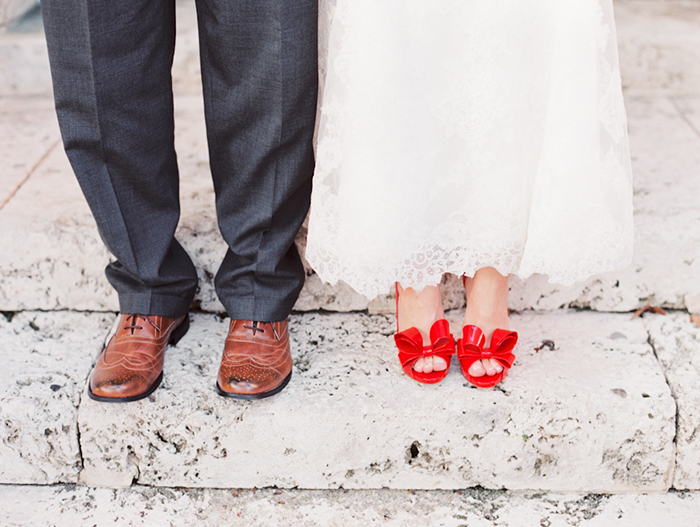 Whether you're looking to get married on/close to Valentine's Day or got engaged on Valentine's Day and want to make it a part of your big day -- it's sophisticated, lovely and sweet. Special thanks to my real life couple (Just shot their wedding in January! 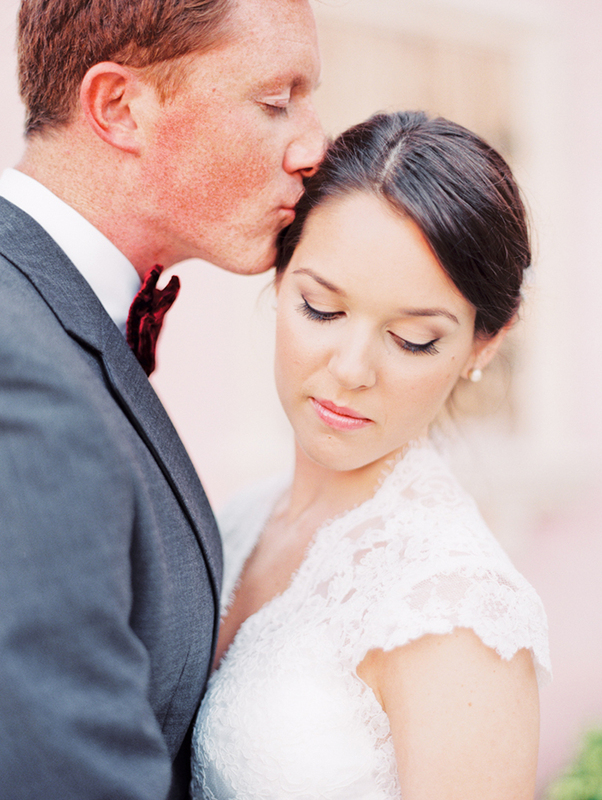 ), Sarah and Scott, for being our amazing and gorgeous couple! I'm so lucky to have you and beyond honored that I got to capture your wedding earlier this year! This inspiration shoot was featured on Style Me Pretty's front page! You can see the entire feature by clicking here. 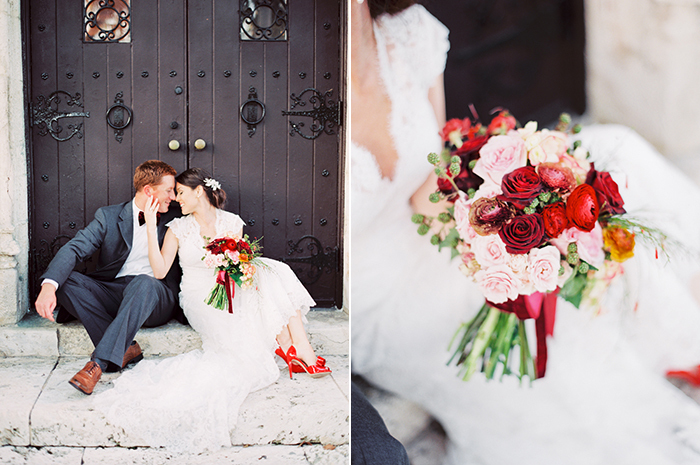 The beautiful bouquet was featured on Brides as one of the top 28 bouquets for a fall wedding!